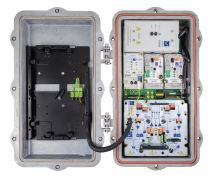 Aurora’s plug-and-play digital return technology. © Copyright 2015 ADDvantage Technologies Group. All Rights Reserved.